Oh wow, this is so cool. i like how you shot this. you must be on a higher floor level to achieve this perspective. love the high key treatment, just enough not to lose the outlines and keeping all the details. aces! Excellent black and white- fav'd it instantly! Great high key lighting and quess what- you can also add another tag- as the word of the day is architecture! 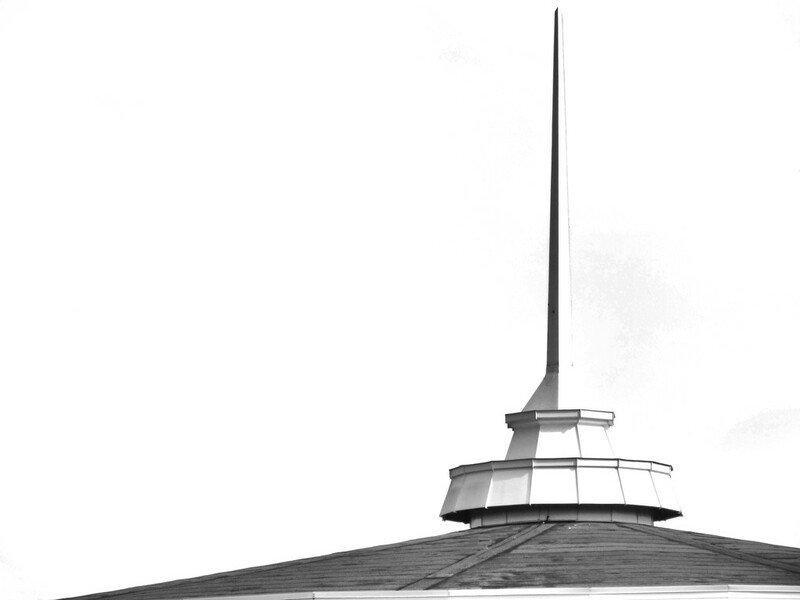 Sharp shadow on that thin spire - makes a good B&W with that high key look! Excellent high key shot...love the way it is composed as well, with the spire just right of center. @louannwarren l am so glad you like it Lou Ann thanks! @luvmynynix I really appreciate that Laurie. Your opinion matters to me. Excellent, and excelling at the title as usual! Really nice--great composition makes an intriguing image. Fav. @ruthmouch I am so glad you approve both of the title and of the photo! Thanks for taking the time as I know how busy you are!